all from the Panjshir Valley, Afghanistan. 1. The Panjshir Valley offers the greenest emeralds on earth. The purest, boldest “emerald green,” is the careful balance between hue, saturation, and brightness that only the world's best emeralds possess. Science shares that extraordinary "kryptonite" color only with emeralds formed in sedimentary rock, allowing enough chromium content to make the gems sing. Gubelin Labs says the best Panjshir emeralds are comparable to the very finest of Colombian emeralds. To understand why, you need look no further than the world’s densest chromium content uniquely in the sedimentary rock formations of the Panjshir Valley. 2. 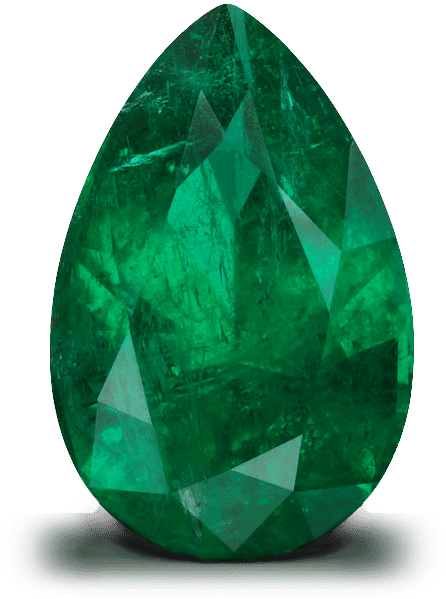 We have unique access to the best Panjshir Valley emeralds. First, we have a one-of-a-kind relationship with both the Afghan government and local tribal leaders. Our partnership gives us privileged access and right-of-first-refusal on all of their ethically-sourced gemstone rough. Secondly, we have outstanding support from our own government at the highest levels. Fair economic business partnerships with our friends in Afghanistan, and the resulting quality of life and stability, is a stated high priority by every administration, past and present. It's just not been done well until now. We are 50-50 partners, and unashamedly family, in trust and esteem. Finally, we have amazing technology coming to the mines and in our expanding, award-winning faceting locations, along with global networks and personal involvement from Harvard University, Oxford University, Colorado School of Mines, the Silicon Valley and more. 3. We cut for beauty, not weight. While others think you won't notice the "fat belly" emerald cut that bloats the weight for sales purposes, we take a different view. We believe that it is both more ethical and more sane to trust you, the recipient of these verdant masterpieces, to prefer our "hall of mirrors" faceting we train all of our artists to utilize. Sure, we give up some of the chargeable carat weight, but we can't apologize for the skill and wonder of the scientific refractive index angles we use to maximize the extraordinary elegance, energy, and charm of our emeralds. We cut for beauty, not weight, eliminating the lifeless windowing and extinction effect that accompanies deeper, “belly-cut” emeralds. We think you'll notice. 4. We’re bringing integrity to the gemstone supply chain. Historically, smuggling, crime, money laundering, and worse have exploited developing nations and robbed them of their own resources. Until 2013 there was never a solution available, since, for obvious reasons, border guards have serious limitations. Today, for the first time, we can help the people and countries previously ravaged by crime and theft... to prosper from the ground they and their families stand on. Our Team, with Harvard and Oxford Universities' resources in BlockChain technology, is doing something about developing nations' loss of revenue for infrastructure and school building, due to smuggling. This is a unique "use-case" not seen before in BlockChain ("the Internet of Value and Security"). Secondly, we are doing something about the lack of fair trade and citizens being able to care for their families--while wealth is removed all around them. We are your partners and partners of the people, bringing the highest level of accountability the emerald and gemstone industry has ever seen. And we are doing this to help developing nations and families. Some use the word BlockChain simply for marketing their goods and helping their own business with a buzzword. We should all want to provide true help for changing the quality of life for the developing countries where so many colored gemstones originate. 5. We’re putting the needs of people before profits. While the gemstone industry has been fraught with ethical issues, we at Panjshir Valley Emeralds and Trusted Inc are spearheading and passionate about ethical sourcing, distribution, and sales of world-class emeralds, and soon, other best-in-class gemstones. We're devoted to making certain that the country and her people benefit from the natural resources under their feet. That's why we're driving the value back towards those who deserve to benefit from it through our Partner-With-a-Village program, which will connect emerald buyers to the lives of real people in Panjshir Valley. We have a lot more that we'd like to share about this, so look for more information coming here soon!